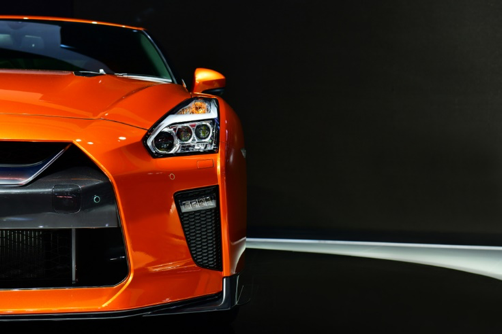 If you’ve settled on purchasing a used Nissan GTR, you’ve already made an excellent decision. Not only is this car a fantastic choice, but going with used over new is almost always the right move. Your next job is to find a Nissan dealership in your area and get yourself the best possible deal on your new car. We help you do that by providing essential car buying guidance in the sections below. One crucial piece of the puzzle is understanding your priorities. While you’ve already done most of that work in deciding to go with the Nissan GTR, there is one more matter to consider. It is how “used” you want that vehicle to be. On one end of the spectrum, you have cars that are under a year old and usually have less than 10,000 miles on them. These vehicles perform like they are brand new, but have a slightly higher price. On the other end, you have ones that are a few years old or more. The lifespan on them will be shorter, but you’ll pay much less up front. There is no correct choice here, just the right one for you and your situation. Once you know what condition you want your GTR to be in, you can come up with a target price. While this sum won’t be a precise limit on how much you’ll pay, it is useful to have a benchmark when heading into the car buying process. The most famous provider of these estimates is Kelly Blue Book, but there are a variety of options out there. Having a general idea of what you should pay will go a long way in getting a fair deal. One of the crucial components of your deal is the financing terms. The reason is that small changes in percentages can add up to a substantial amount of money over the two or three years that you pay your car off. While one deal might look good on the basis of a lower monthly payment or less money upfront, you might end up with an inflated bill for a much more extended period than you’d like. One thing to note is that if you have the means to pay the full cost upfront, this is a point that you don’t have to worry about. Unless it is truly on its last legs, your old car likely has some value. What this means is that you might be able to get a discount on your GTR by trading in your current vehicle. If the dealership isn’t interested, you can also look into selling your old car to a different auto dealer. Many sales associates have a full toolkit of sales and incentives that they only bring out when needed. The result for you, the buyer, is that you can utilize these discounts by pursuing them. The first way you can do so is through browsing the dealership website and seeing if it has a special offers page. Next, you can ask a salesperson for a discount at the dealership. Though the Nissan GTR is an exceptional vehicle, every one of them is different. You’ll definitely want to take one out for a test drive before deciding to purchase it. Lastly, choosing a great dealer is an integral piece of getting the deal you’re looking for. Doing so will decrease the need for intense negotiation and careful assessment of terms, as you’re dealing with an ethical business that has your best interest in mind. Choosing a used Nissan GTR is an excellent decision, but the process is not over. Now, you must search for the right dealer to sell you one. We hope the tips on this list help you find a great deal. That way, you can enjoy your new car even more by knowing you received a fair offer.